The Lee County School District has a plan and its transportation department plans to get your children to and from school on time this year. Parents are still concerned about the yellow buses getting their children to school safely. Every year, more than 25 million students across the country use school buses to get to school and back each day. Unfortunately, many people are injured in the process. According to the National Safety Council, there were 134 deaths resulting from school bus-related traffic accidents in 2005 alone. Another 11,000 were injured in these incidents. 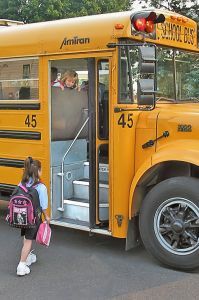 Lee County school buses transport about 48,000 students every year. That’s more than half of the county’s 85,000 student population. Lee transportation operates nearly 700 school buses every school year. A lot of parents still worry about sending their children out to the bus stops with the congested traffic of the morning rush hour. Talking with your child about safe bus-riding habits can help to reduce their risks of child injury in Fort Myers, Naples and Cape Coral. Our Naples personal injury attorneys would first like to wish all of our students a happy school year. Getting to and from school can be the most dangerous part of your child’s day. Luckily, Joseph Burke, Lee County’s new superintendent, says that he and the district aren’t done with their safe bus stop efforts. While the county continues to search for shorter bus route for students, the school board is still keeping safety as a top priority. Of Florida’s 67 school districts, Charlotte and Lee counties have some of the earliest school start times. Parents oftentimes worry about their children heading to the bus stop before the sun even comes up. Of all the school bus-related accident injuries from 2000 to 2005, nearly 50 percent of them were sustained by the passengers of a school bus, nearly 10 percent were by the school bus drivers and more than 40 percent were sustained by occupants of other motor vehicles. During the same time period, more than 80 percent of school bus-accident fatalities happened when a pedestrian was hit by a bus. -Don’t play around while waiting at your bus stop. Carelessness can lead to accidents. -Line up as the bus pulls up to your stop. -Don’t step onto the road until the bus has come to a complete stop and has opened its doors. -When you’re getting on the bus, use the handrail. -Once you’re on the bus sit down and talk with an inside voice. -Keep your hands, arms and head inside the bus. -Keep books, bags and other items out of the bus’ aisle. -Don’t stand up to exit the bus at your stop until the bus has come to a complete stop. -Always stay at least 10 feet away from the bus. -Make sure the driver sees you and signals before crossing the road if you need to. -Look in all directions for oncoming traffic before you cross the street. 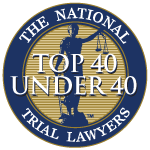 Associates and Bruce L. Scheiner, Attorneys for the Injured are an experienced team of attorneys who represent personal injury victims and their families in Fort Myers and all of South Florida. For a free and confidential appointment call 1-800-DIAL-BLS (283-2900) today.